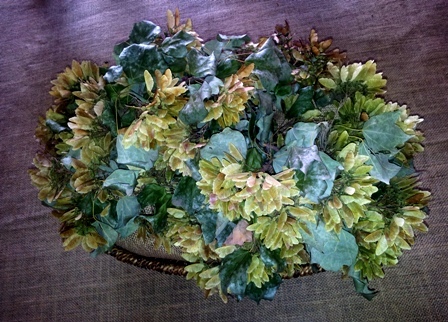 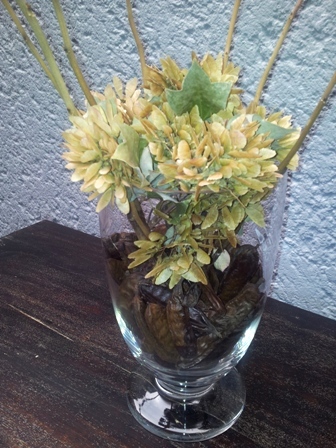 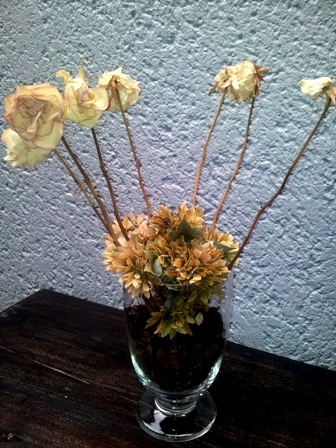 I used flowers from old arrangements and seed pods and leaves from my garden to create new rustic arrangements. 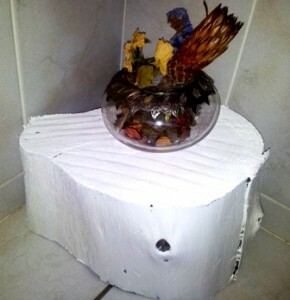 Piece of wood that I painted white and used as a stand. 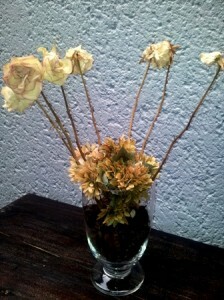 In the vase an old arrangement of roses and proteas.